Blocked Drain in Chichester? We can help!! Dealing with a blocked drain is the last thing anyone needs, any day of the week. Not only can it bring everything to a standstill – particularly if you’re a family in need of a flushable toilet – but you may even find that neither store-bought products nor home remedies may be able to help. If you’ve got a smelly outside drain that needs unclogging, a backed-up toilet that’s showing no sign of clearing through, or even if you need an expert or two to clear out a septic tank, Totally Blocked Drainage Solutions are the people to call – particularly if you’re in need of drain unblocking in Chichester, West Sussex or elsewhere in the county! Our team of experts are well versed in a huge range of plumbing and drainage facilities, ones which sadly block up from time to time – and can cause a real nuisance to home and business alike. We offer private and commercial consultation on plumbing or piping in need of unclogging, and we have catered to public services such as hotels, restaurants, pubs and clubs in recent history, making us a reliable source of information and a hands-on solution to all things blocked. Drain unblocking in Chichester, West Sussex and beyond has never been so simple to arrange, nor so competitively priced! If you’re a homeowner or run a business that caters to the public, or are dependant upon any kind of plumbing or tank system that comes under the threat of blockage, we can help. Whether it’s sinks, toilets, storm drains, septic tanks, guttering, aquadrains, baths, showers or even public urinals, you name it – we’ll unclog it. Not only do we have the tools of the trade, but we also have years of experience and knowledge in what both causes blockages and what we can do to rectify each and every problem. 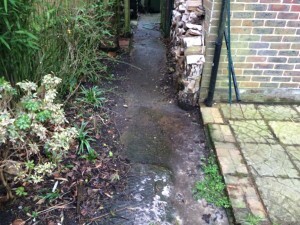 It’s this approach to drainage that’s allowed us to become one of the most trusted and reliable companys to provide drain unblocking in Chichester, West Sussex, Surrey, Hampshire and beyond. We are confident that any blockage query you may have, we can handle – quickly! If you’re looking for a drain unblocking in Chichester, West Sussex or need a run of toilets and urinals flushing out in nearby Hampshire, simply give us a call or send us an email – and we’ll get in touch with you to handle the rest! Contact us today for advice and let Totally blocked resolve your blocked drain.